Silver Creek Guide Service in Weatherford, Texas is always aware of Hunter Safety first. 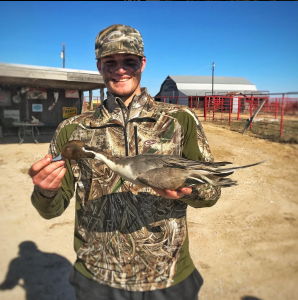 First and foremost you will need to have a valid Texas Hunting License (Resident or Non-Resident) with both the state and federal waterfowl stamps. If you were born after 1972 you will also need to have a Hunters Safety Card. This will let us know that that you have taken your Hunter Education Training Course. This is the first step in Hunter Safety. Every hunter must carry their proof of certification or deferral while hunting, no exceptions. The minimum age of certification is 9 years old. We encourage booking a private hunt if you are bringing a dog or if you have younger or elderly participants in your group. A private hunt is more customizable, and this will ensure that all hunters will be safe and have a blast! Remember, hunting season is September through January so it can get pretty cold. We encourage you to wear the proper gear to stay warm. Thick socks and boots that are designed specifically for warmth are a must! Be sure what you are wearing is able to get a little wet while also keeping you comfortable. Rubber lined boots are the best option. A little water is to be expected around the ponds. Are you a first time hunter? Silver Creek Guide Service will help make your new experience worth it! Our land offers 25 ponds that create the ideal atmosphere for hunting. When you show up you can be certain that the birds will be there as we have scouts that do daily checks of our land to ensure your hunting will be plentiful. 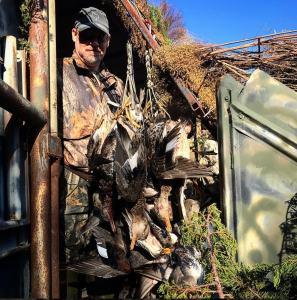 Once you have finished your guided hunt you will want to be sure you can take home your birds so bring a cooler and freezer bags for your bounty! Reserve a Hunt today. Silver Creek Guide Service will ensure you have the experience of a lifetime!